We’ve had a gaming summer here at Spoiltchild with the launch of two new games for Rehab Bingo and CÃºl Green. Back to School has just been launched on Rehab Bingo, featuring some naughty students, an exploding rocket and a little graffiti, this game combines photo realism with some beautiful animation. It’s fun to play and may bring you back to your school days! 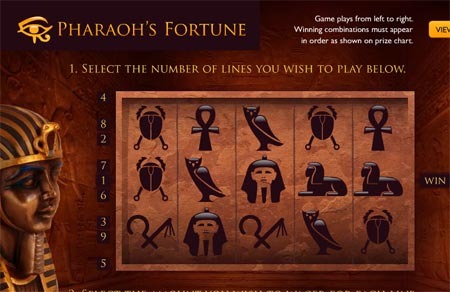 We are also thrilled that our feature game Pharaoh’s Fortune was the most popular game on the site over the summer. You can try them out here. Over at CÃºl Kids, Spoiltchild created the Power Play game especially for junior GAA fans. CÃºl Green is a fantastic joint initiative between the GAA and the ESB to make Croke Park a carbon-neutral stadium. Users can show their support by changing their behaviour and becoming more energy conscious. 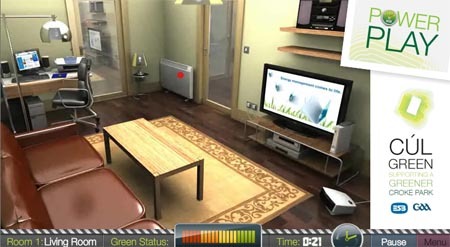 Play here and see how fast you can save energy around your home. Spoiltchild is proud to be part of this great initiative. Hopefully this campaign will inspire all of us to reduce our own carbon footprint. Now any tips for the All Ireland anyone?